•Removing steering wheels of most domestic and imported vehicles, with or without telescoping tilt steering columns, is easy with this new set. •Steering wheel puller, including four sets of cap screws needed for various thread requirements. •Steering wheel lock plate compressor is also included, to compress the steering wheel lock plate to remove or install the snap ring. •It accesses the turn signal switch and S.I.R. modules on current GM vehicles. •Also works on older GM, AMC, and Chrysler vehicles with tilt or conventional steering columns. 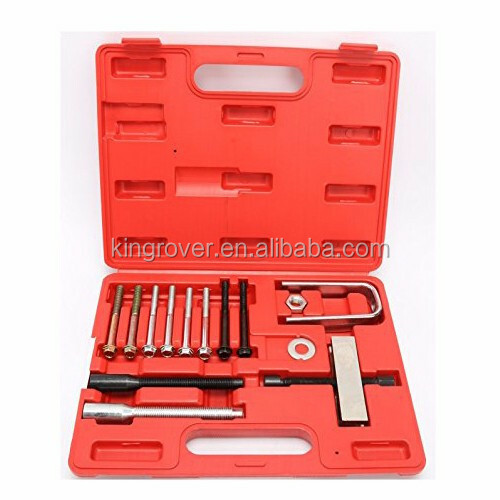 •Steering pivot pin remover for steering columns completes the set. •Contained in convenient plastic storage tray.